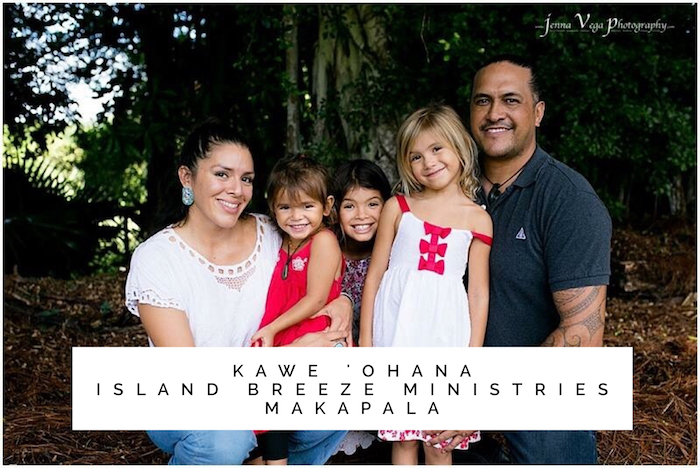 Eruera (Ed) and Elisabeth (Lis [Echo-Hawk]) Kawe have been with Island Breeze Ministries – Makapala since 2001 and have been the directors since 2006. They have a strong desire and commitment to bless the community of Kohala by seeing youth positively engaged, families strengthened, and elders cared for. Over the years they have been a part of and/or initiated dozens of community events such as Camp Lokahi, The (Kohala) Kupuna Dinner, cultural exchanges (Te Haerenga), farming projects, and many other similar endeavors. Along with these community outreaches, Ed and Lis have been the main caretakers of the Makapala Christian Retreat Center (Old Makapala School), keeping the facilities maintained and operational. Ed and Lis also have three beautiful daughters. If you would like to support the Kawe ‘Ohana, via credit card (or PayPal account) click on this link. 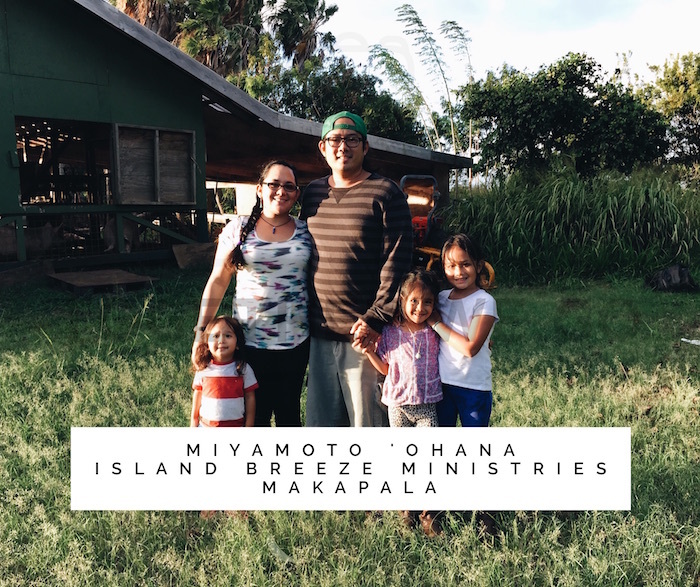 Jared and Tiana (Alcoran) Miyamoto joined Island Breeze Ministries – Makapala in the fall of 2016. Previously they lived on O‘ahu where Jared served as Worship/Music Director at Kaka‘ako Christian Fellowship for 10 years. Tiana grew up in Kona on the Big Island of Hawai‘i and has family roots in Kohala. She joined Island Breeze Productions in 1996 and was a student in the first Island Breeze DTS in Makapala (2000). Together, they enjoy ministering through music and dance. They also have a heart to see others grow through short-term missions trips. They have three children (2 girls, 1 boy) who they are currently homeschooling. If you would like to support the Miyamoto ‘Ohana, via credit card (or PayPal account) click on this link. 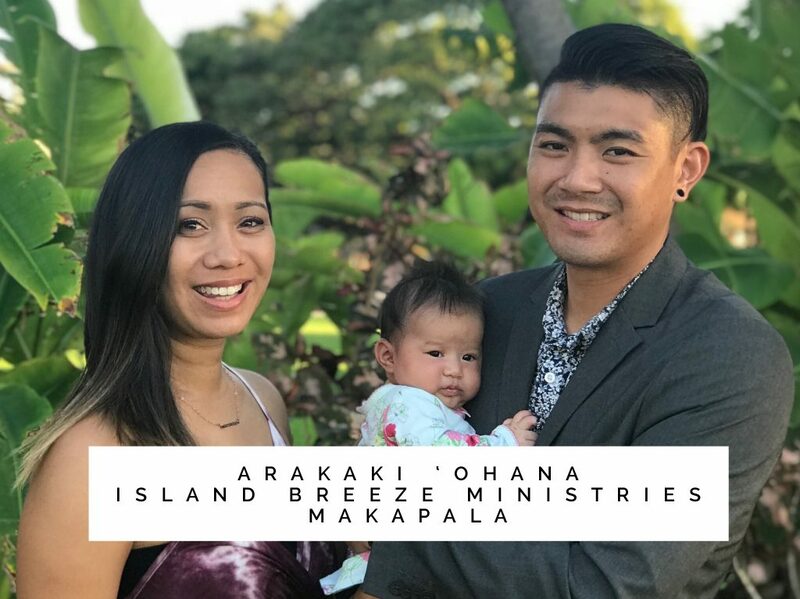 Colby and Tanya-Rae Arakaki joined Island Breeze Ministries – Makapala in January 2018. Prior to that they served in missions with Island Breeze – Impact World Tour sharing the gospel in the nations of South Korea and South Africa. Their heart is for the next generation…that they would know the love, hope, and dreams that God has for them. If you would like to support the Arakaki ‘Ohana, via credit card (or PayPal account) click on this link.